Tim Burton is by no means my favorite filmmaker, and I personally am not that big of a fan of his movies, but I do like talking about them. This is why I find myself writing yet another article about a stop-motion animated, horror-comedy film by Tim Burton. Like The Nightmare Before Christmas and Corpse Bride, Frankenweenie is a stop-motion animated movie of a similar style, a macabre mood, and similarly dark humor. Despite the redundancies, I still found myself appreciating the film, if only for the fact that I could tell that the creators had fun making it and was able to see where Tim Burton movies got their inspiration from. 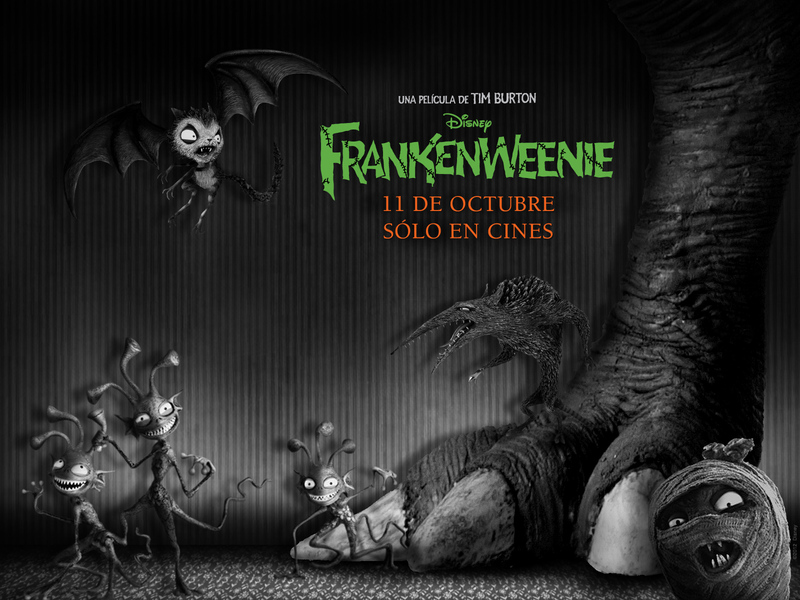 Frankenweenie is a remake of a 1984 short live-action film of the same name, which was also made by Tim Burton and Leonard Ripps. * It is about a very smart boy, named Victor Frankenstein (Charlie Tahan), whose dog, Sparky (Frank Welker), is killed after being hit by a car, and thus decides to resurrect his lost pet through SCIENCE, and the magic of electricity. This, of course, disturbs the neighbors and makes his classmates want to replicate the process, thus leading to shenanigans and experiments gone wrong. The film includes many references and gags surrounding classic monster films. The whole movie is basically a childish spin on the 1931 Frankenstein film, with the movie even ending with a similar burning windmill scene. But with the other child characters reanimating dead pets, we are given a whole host of monster movie creatures. These include sea monkeys turned into humanoid sea creatures, a mummy hamster named Colossus, a were-rat, a Gamera-like giant turtle**, and a vampire-cat. If you couldn’t get more obvious with the references, the names of certain characters are outright named after rather famous fictitious characters. The boy’s name is Victor Frankenstein, and he has classmates named Edgar E. Gore (play on “Igor”) and Elsa Van Helsing (Winona Rider). Another classmate, Nassor, also looks a lot like Frankenstein’s Monster, as portrayed by Boris Karloff in the 1931 film. The mayor of the town is named Mr. Burgermeister (Martin Short), which is a possible reference to the similarly stop-motion animated mayor Burgermeister Meisterburger from Rankin/Bass’s Santa Clause is Comin’ to Town. We’ve also got a Vincent Pryce-like teacher named Mr. Rzykruski (Martin Landau). A movie poster containing the other monsters in the film. The style and choice of animation is also fitting. Sure, it is of similar art style to Tim Burton’s other stop-motion films, but this film’s cinematography and camera movement have a different feel to it. For one, it is deliberately shown in black and white. Certain camera angles, and the slow and methodical portrayal of certain scenes reflect older black and white film as well. The lighting and shading is also particularly well done, perhaps because they were limited by the lack of color. The plot itself is fairly predictable. You didn’t really have to know anything about Frankenstein to know where the story was going. The “acting” of the characters felt forced, but that may have been for the purpose of parodying monster movies. From the unblinking “Weird girl” (Catherine O’Hara) with her psychic cat, to the citizens who overreact and jump to the conclusion that the reanimated dog, who is barely knee-height, is a monster out to kill them; the characters were definitely running on monster movie logic. Another slight problem I had with the film was its minor commentary on the poor state of education (in the United States in particular). And though I agreed with its theme of criticizing people of being willfully ignorant, or otherwise abusing scientific power, it felt like it distracted from the story and seemed like it was an afterthought rather than a main moral it was trying to get across. All in all, Frankenweenie is quite the quintessential Tim Burton film, but this time, we can glean a bit from the creator’s inspirations. I went into watching this film, expecting not to like it much, so you could say that it benefited from lowered expectations. I think what made me like it more is because I could see the love that went into this film. The film and storytelling influences in Burton’s style and writing were very apparent while watching it. For instance, by placing Mr. Rzykruski in a mentor role to our main character, Victor, we could see that perhaps the actor Vincent Pryce was someone that Burton looked up to. *** Here is a cool scene where Mr. Rzykruski imparts some wisdom onto Victor. Burton also went through the trouble of remaking the film, despite the fact that after he made the original Frankenweenie, he was fired from Disney for “wasting company money on films deemed too dark and scary for children.” I find it ironic that nearly 30 years later, Disney worked together with Burton to bring this version of Frankenweenie into creation. Either way, you could say that this film was a pet project of Burton’s (pardon the pun). 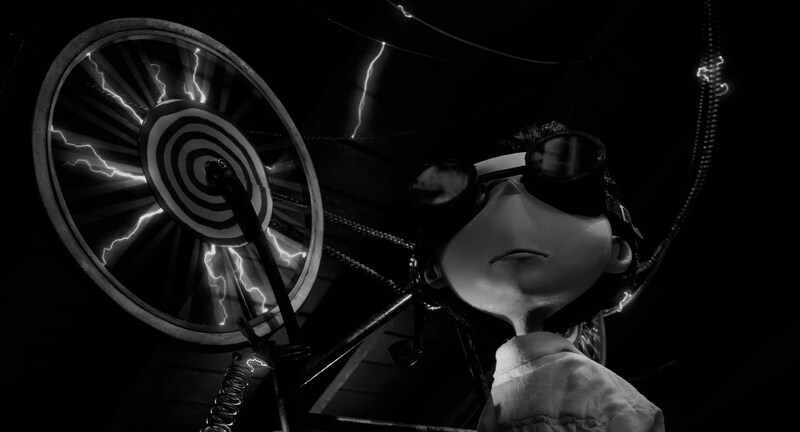 Frankenweenie is an excellent marriage of parody and homage, and is a film with a great deal of heart. I recommend this film to those who are into classic black and white films and want to perhaps inaugurate a younger audience into the monster movie genre. *I actually did not know of this until right before I sat down to write this article, so naturally, I went to watch the original as well. This remake is practically an exact replica of the original, but in animated form, and packed with many more characters, and extra side plots. Even the cinematography and direction of certain scenes are exactly the same. **Think Godzilla, but a turtle, if you are unfamiliar with Japanese tokusatsu. ***Which is most likely true, as an early short film Burton made was about a boy who idolizes Vincent Pryce.